Antwerp, still the main port for conventional and project cargo handling, is our basis and daily workfloor. With over 220 breakbulk sailings monthly, Antwerp is the hub for breakbulk and project sailings to all continents. Since 20 years, AML assists their clients with our local expertise to bring their projects to a good end. Flexibility, a 24/7 mentality, problem shooting thinking, combined with our expertise and network have made us grow in this field, year after year. 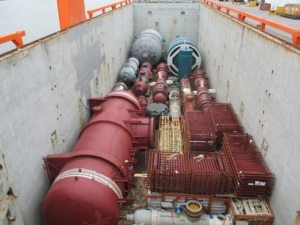 With pride we can count a big number of well-known foreign project cargo driven forwards on our reference list. From it’s foundation, AML highly focused on the handling and logistics for various steel products, outbound as well as inbound. 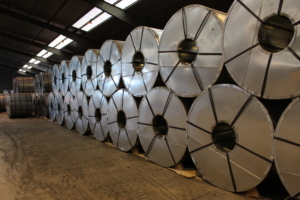 In total we handle about 500.000 MT per year for a wide range of worldwide customers. We are not only involved in the cargo handling but we do also optimize the related supply chain for our principals in order to have the quickest access to their materials at the best total cost. Year after year, we steadily grew to where we are at right now. Each type of bulk material presents its own handling characteristics that determine the best solutions for transfer and storage. 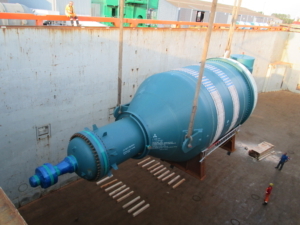 Numerous variations are possible such as: reloading directly from storage silo to bulk trucks, unloading of ships/barges directly into bulk & silo trucks. Over the years, the container gained more and more market share in the shipping industry. We have seen this development taking place and developed with it. We have an FCL and LCL team in place which is dealing only with container shipments to worldwide ports, both export and import. A lot of our FCL shipments combine special equipment / OOG and standard containers. We know the restrictions, the bottlenecks and can make the difference between theory and practice, helping our clients to take the correct decision in terms of speed, cost, used equipment for the given dimensions and weights. Our team minds restrictions, possible obstacles at the other side of the world. Our staff knows the insides out of hazardous materials. Can it be stored? For how long? Other restrictions or maybe segragations to be respected? Ask the question and we will provide the correct answers. 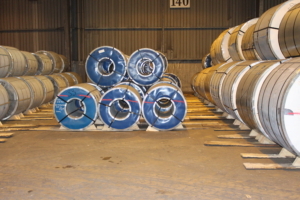 During shipment, we are closely connected with all relevant authorities in the Port of Antwerp & ministries.